We are obsessed with keeping your data safe. We’ve especially developed processes, technologies, and policies that ensure we deliver on our data security promise. And that is why more than 1500 businesses count on us to keep their data safe and secure. Does Hiver store your emails? Hiver does not store any email data except Message-ID and the subject line - they help us The email headers (To, From, Cc), or the email body (including the attachments) are never stored with Hiver. Hiver stores raw email data temporarily in an encrypted state while it syncs emails across Gmail accounts. This duration will never exceed 10 minutes for 99% of the emails. When the emails have been successfully synced across Gmail accounts, the data is deleted permanently. Does anyone read your emails? Absolutely not. No human ever reads your emails. Our support team might look at your email only if you contact us with a problem you're facing with our service and give us explicit permission to access your email to fix the problem. Is your data secure during transfer between Hiver’s and Google’s servers? 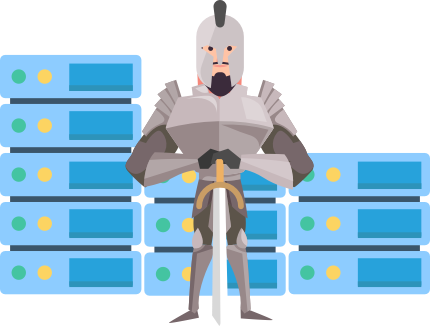 The communication and data transfer between Hiver servers and Google’s server happen over TLS encrypted connection, so your data is secure during transfer between ours and Google’s servers. This is a leakage-free path and there is no way someone can sneak into your emails — not a chance! Does Hiver store your Gmail password? No. Hiver neither requires nor stores your password. As part of the sign in process, you provide your password to Google, and we use something called OAuth to interact with Google’s servers. Hiver will never ask for or store your password. We've made sure everything we do is hacking-proof to the core of it! Of course! Hiver is committed to protecting the security of your personal information and has completed the GDPR readiness program. to keep data safe, head over to the Security Center.